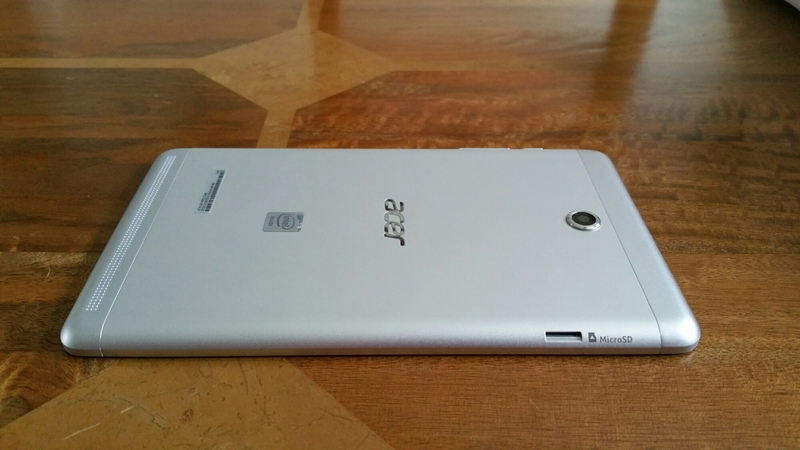 Welcome to my review of the Acer Iconia 8 Tablet. This comes with a 8 inch screen and 16gb storage/1gb ram all wrapped in a aluminium body. 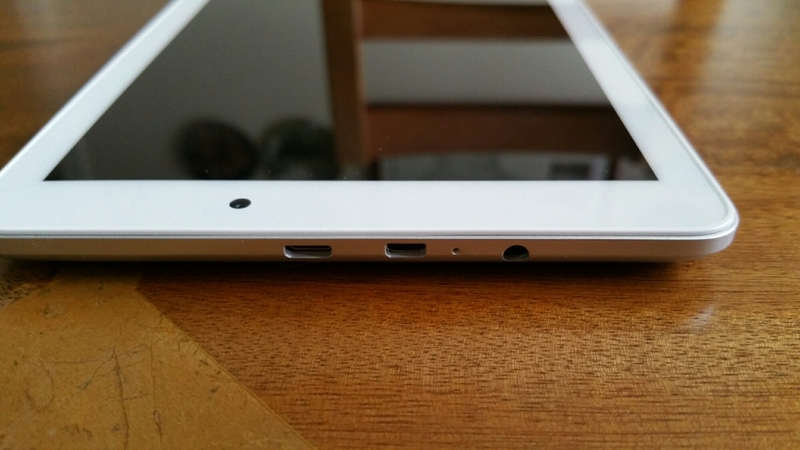 The build quality is one of the first things that you notice about this tablet. Just look at the photos. 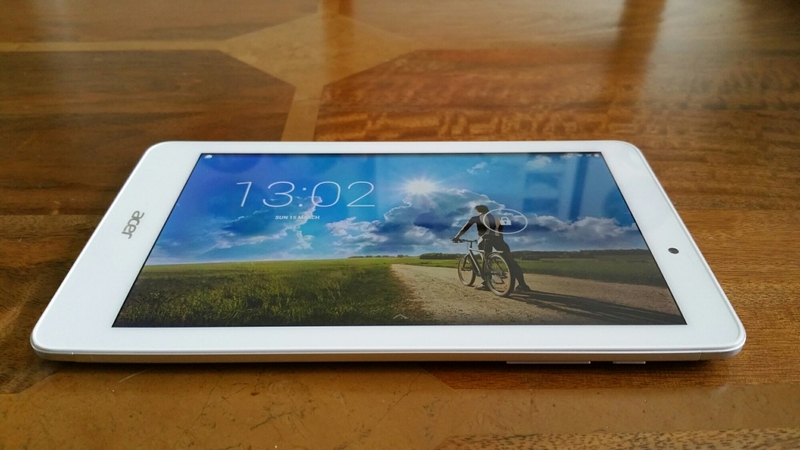 Due to its size and slight curves, the tablet fits nicely in your hand. For times when you need a camera, it comes equipped with dual cameras and microSD™ card slot, dual speakers, producing a good sound experience. The Intel® Atom™ processor with 7.5 hours of battery life has allowed me to use this all day and with a reasonable nippy response when jumping from app to app. The screen is only WXGA and I can notice the lack of resolution compared to some far more expensive tablets that have 1080p and above screens, but then again those tablets costs a lot more money. For many people the WXGA won’t matter. It does mean however, that there are less pixels to push so the tablet generally runs fairly fast in use. Rather unusual is a separate connection for a mini hdmi port as shown in the photos. The Acer Iconia 8 is based on a near stock experience, but it does have some software tricks for turning on the device. Laying all 5 fingers on the screen allows you to turn on device or turn on with a selected app of your choice. You can do the same thing using 2 thumbs. Both these features can be turned off too. The tablet also features a split screen mode which is so simple to use. Say your using Chrome, tap the split screen icon bottom and the you can choose from a number of apps which support this mode. There were a decent selection of apps supported too from Chrome, Play Store, all Acer apps, accuweather, Amazon, audible, Amazon app store, astro file manager, calculator, eBay, email, Gmail, Evernote, maps, people, play books, officesuite, play movies, play music and youtube. Another neat option is Acer Intellispin. This makes rotation smarter. When you rotate the tablet the screen image can automatically rotate to match the new orientation, even if the tablet is lying flat. In addition you can add users which each have their own profile. Acer installs many apps as standard. All those mentioned above and Acer cloud apps for docs, files, music, photos, and videos. By installing the same apps on your home computer you can access everything via the cloud on the tablet. Acer assessories, Acer portal, Acer suggests, Amazon Kindle, Amazon Local, Amazon Music, barcode scanner, booking.com hotels, Wild Tangent games portal, istorytime, Skype, top HD games, Tunein Radio and Zinio are also installed. Apart from that it is a near stock experience. The keyboard is Google Keyboard. You can uninstall several of the apps and or disable them if you want. It is also preloaded with far too much extra software in my opinion. Some of it is useful, but perhaps Acer would have been better to include optional download links. The 16 storage model have just under 9gb free to the user. The loudspeaker goes fairly loud. Sound through the headphones is reasonable too. The camera takes ok photos in good light but does have many options from picture collage, various capture modes (normal, HDR, continuous, panoramic, presentation capturing), scenes (barcode, fireworks, landscape, night, night portrait, sports), white balance, timer, EV, ISO (auto, 100-800), metering, scale, resolution, Touch shutter, camcorder settings include time lapse, mute, 1080p, 720p & 480, storage, location, grid and a tutorial. In fact there are so many options in the camera that you should be able to photograph many scenarios. The Acer Iconia 8 is available from Amazon currently for £139.58, Acer Iconia Tab 8 deal at Amazon UK which makes it fairly good value.